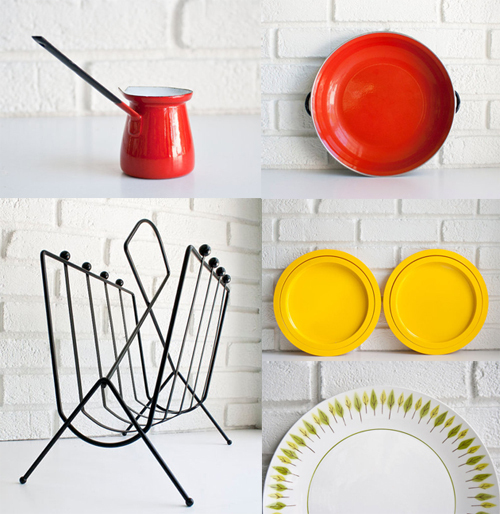 If you've been following my blog you know I'm a sucker for mid century design. And anything that's Danish just makes me grin with giddy. Like this set of vintage Danish Fleetwood dinner knives. Curator Kim Roberts of the fabulous Etsy shop, Kibster has scoured and collected for years, curating her favorite items. She lives on a small barrier island in Florida seeking enchanting treasures...sounds fun, yeah? You'll find all manner of eye pleasing and unique items for the home in Kim's shop. As she shared with me, "I like to sell items that are well made with a clean, modern design. I also try to focus on carrying classic items that stand the test of time so they can be enjoyed for years." 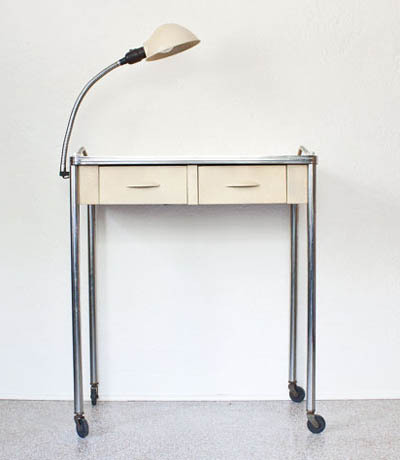 Kim is drawn to designers like Paul McCobb, George Nelson, Hans Wegner and Charles and Ray Eames. No matter what happens in my life, I know I'll always love the color turquoise. My appreciation will never fade. 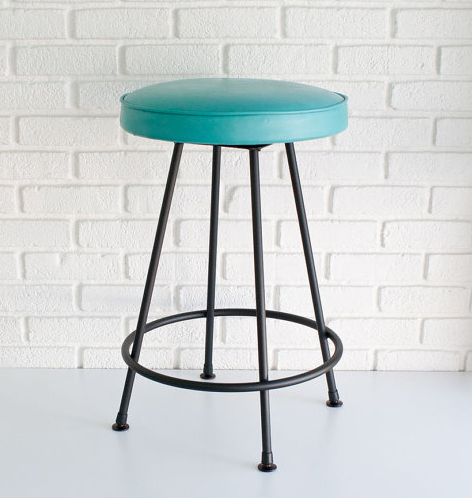 This mid century swivel bar stool is constructed with tubular steel and refinished with flat, black paint. The seat is original and in excellent condition... such a great find. Kim displays her goods to showcase their lovely design and the colorful personality they often exude. She explains, "It's nice to add vibrant color to my shop to mix things up and create a fun mood or atmosphere."